You’ve seen the trailer and witnessed the almighty Thanos at work; now, it’s time for a play-by-play breakdown of Infinity War‘s latest and arguably greatest showcase. Per Collider, the following gallery is a Marvel-themed treasure trove that’s designed to cherry-pick all of the major talking points from this morning’s trailer – the Black Order, the allies of Wakanda, and Captain America grappling the Infinity Gauntlet with his bare hands – for your viewing pleasure. Dubbed the “final test” for this current Avengers line-up, Thanos is unique in that his wicked ways have had an impact – either directly or indirectly – on all of the major characters lining Joe and Anthony Russo’s historic casting docket. So, without further ado, here’s your chance to go up close and personal with Earth’s Mightiest Heroes and their newfound allies, the Guardians of the Galaxy. It is, of course, the beginning of the end for this particular incarnation of the Marvel Cinematic Universe, and while the so-far untitled Avengers 4 is expected to hit theaters in 2019, we now have reason to believe that it’ll be completely different from its cinematic predecessor. 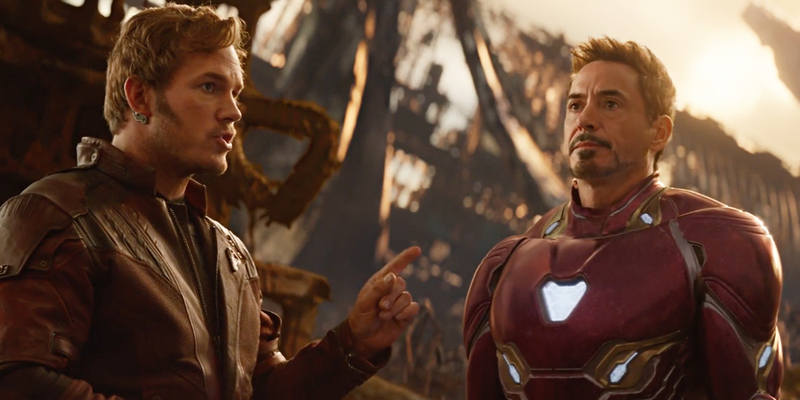 As a matter of fact, co-director Joe Russo recently stressed that the back-to-back release of Infinity War and the fourth Avengers movie isn’t necessarily a true two-parter in the vein of Harry Potter or The Hunger Games. It isn’t a true two-parter. And I think the two-parter concept came back when Marvel decided they were going to culminate the MCU. It was going to be a two-movie deal. But as we developed the movie, in execution, it ended up being more of two singular expressions. And I think that’s just what happened. So while the two Marvel epics are expected to share some connective tissue, it’s looking increasingly likely that Avengers 4 will be a whole different ball game. But before we get too far ahead of ourselves, there’s an Infinity War on the horizon, and it’s set to begin on April 27th.